I had a great time last Sunday at the SoWa Open Market in Boston, and so it seems the novelty of craft markets has not worn off. The best part was the people. I chatted with flower lovers, photographers, print makers, gardeners, and even ran into an old friend or two. 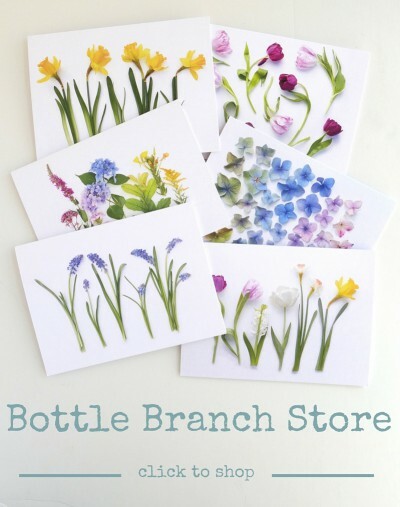 I also loved hearing from customers about favorite plants, trees, other craft fairs, and of course which card designs they preferred and more importantly, why. On etsy, I offer the option for customers to pick a custom set of five cards and I did the same at this weekend’s market. I put out a tray with all the individual designs. (You can see it in the middle there – if only I had chosen a greater depth of field for that photo!) Customers could rifle through all the cards, selecting favorites and creating their own set. It was really fun to see the combinations they created. Some designs are perennial favorites, while other are loved by only a very few people. I have a special place in my heart for the customers who like some of my personal favorites which prove to be less popular, like the adorable customer who selected this autumn leaf design, now discontinued. So, I’m hooked. I’m not going to be running off to markets and craft fairs every weekend, but I’ll definintely be back. In fact, I’m already scheduled to be back at SoWa on Sunday, July 31st. And next time, I’ll take some better photos. Hope to see you there! My daughter sells Fruit Gin via the internet and at food markets. The internet reaches a far greater audience but the interaction with customers at markets cannot be beaten and I’m sure it must be great for you when people see your cards and their eyes light up with delight.